How to cure the peanuts root rot? The main diseases in peanuts root have: bacterial wilt, root rot and stem rot. It is all called “dead plant”. These diseases usually endangered seedlings, and it will still happened in the plant of adult stage. 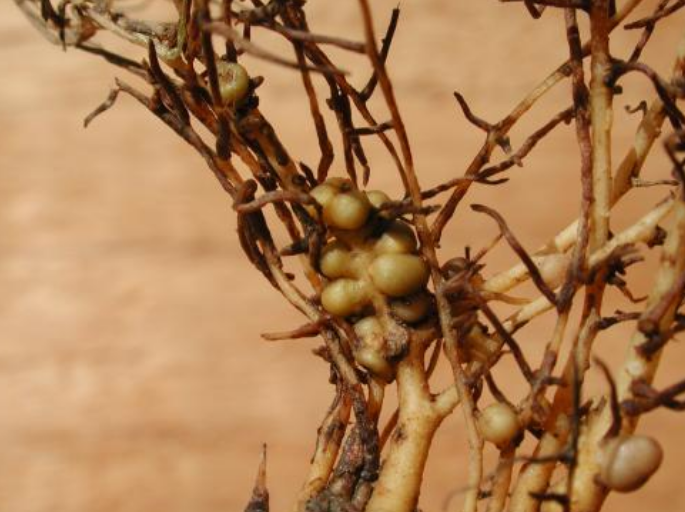 How to cure the peanuts root rot? First, Dig deep and ploughs the soil. Clean the yard after peanut harvest. In spring, spread seeds to the ground finely to improve sowing quality. Second, reasonable rotation, the farmland with light disease can be rotated every year. Seriously ill farmland implementation of 3-5 years of rotation, with wheat, corn and other crop crops stubble. Third, select good quality seeds with disease-resistant varieties. The peanuts seeds need to harvest in time, dried, proper storage, to prevent mildew. Remove the bad seed which is discoloration, moldy, damaged before sowing. Dried seeds need to be operated before sowing in order to kill the pathogenic bacteria in surface and improve the germination rate. Fifth, improve the soil condition. Don’t use or use very little of herbicides, especially closed herbicides to prevent the soil caking and increased permeability. Fertilize enough basic fertilizer and add the organic fertilizer. Detection of soil PH value, alkaline soil can add fertilizer grade ferrous sulfate in soil. The whole old sick district can add lime or tree ash before farming. Sixth, be reasonable topdressing and watering. In the early flowering, the fruit enlargement period and fruit period spraying fertilizer making the root thick, increase the vitality of fruit enlargement and he production of peanuts.